Most people have some data that they would rather not share with others – passwords, personal information, classified documents from work, financial records, self-written poems, the list continues. Windows 8 : Bye Start button? With Microsoft’s latest operating system looming large on the digital landscape – set for a public beta launch at the end of the month – casualties are beginning to emerge. It turns out that the launch of Windows 8 could see Microsoft’s iconic Start button going the same way as Clippy. Now a mainstay of personal computing, the Start button was launched 17 years ago amidst a massive advertising campaign featuring the Rolling Stones song “Start me up“. 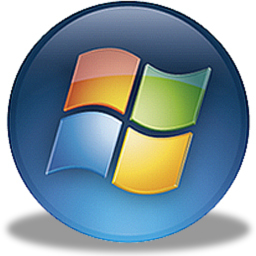 With Windows XP/Vista and 7 installed on a huge portion of PCs worldwide, the Start button has become a design icon that is effectively synonymous with the Redmond based software giant. Sadly in Windows 8, rumours are that Microsoft has decided to kill off the Start button, with the space to be occupied by what is being called a “hot” corner. In essence this will equate to moving the mouse pointer (if on a PC) into the corner which will fire up the new full-screen Metro-style start screen. Tablet users will be able achieve the same result by flicking their finger to the same bottom left corner of the screen. Windows 8 will perhaps sport the most radical interface overhaul since Microsoft jumped from Windows 3.11 to Windows 95, and killing off the Start button will arguably free up more on screen real-estate. From a cursory play with the new interface at Microsoft’s CES stand recently, the new interface may have impressed, but it is likely that many long term Windows users will find it baffling. For first time users the news is potentially worse as there’ll be no visual cues for returning to the full-screen start menu of Microsoft’s newly minted Metro interface. With the Windows 8 public beta due out in a couple of weeks, the Start button could possibly reappear by then, rumours are that die hard windows users shouldn’t get their hopes up. So will there be a wake held for the soon to be deceased Start button? Will there be much of an outcry? This remains to be seen, but the good news is that the Windows key on the keyboard of most PCs will still have the same function as it has today under Windows 8 and will pop up the Start screen – which should at least provide a solution for some frustrated users.